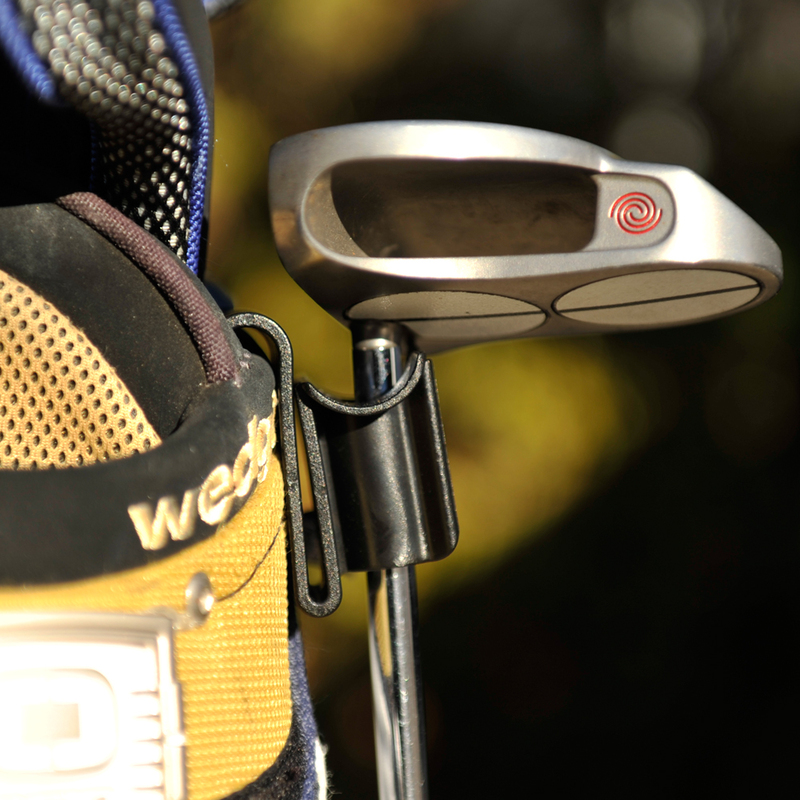 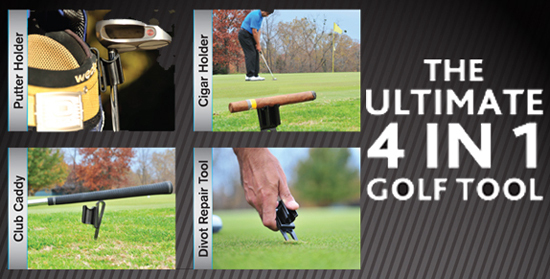 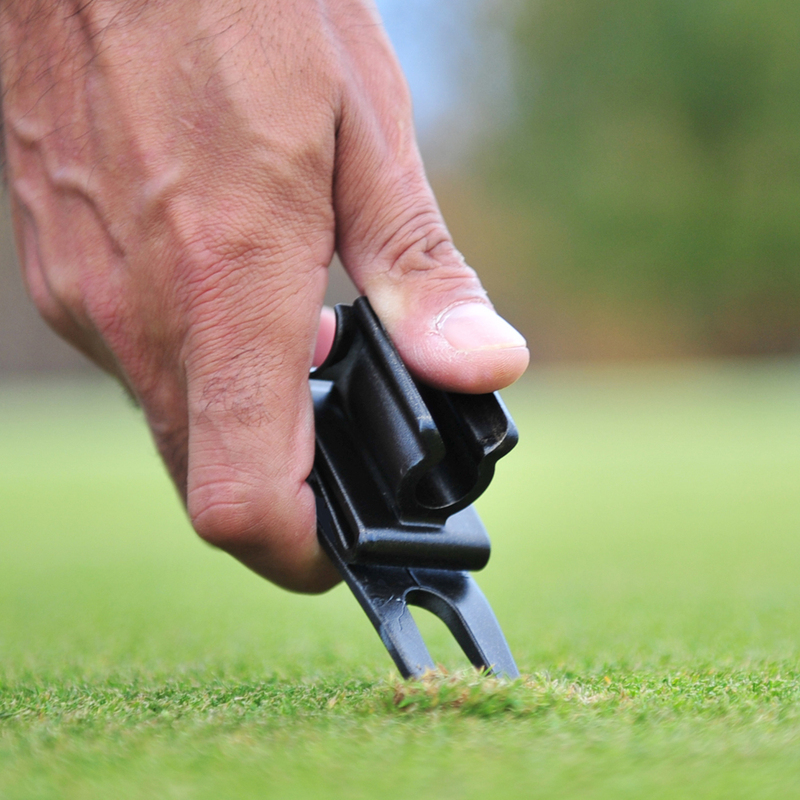 GolfJOC - The Ultimate 4 in 1 Club Caddy — CigarKaddy, ClubKaddy, Putter Holder and Divot Tool. 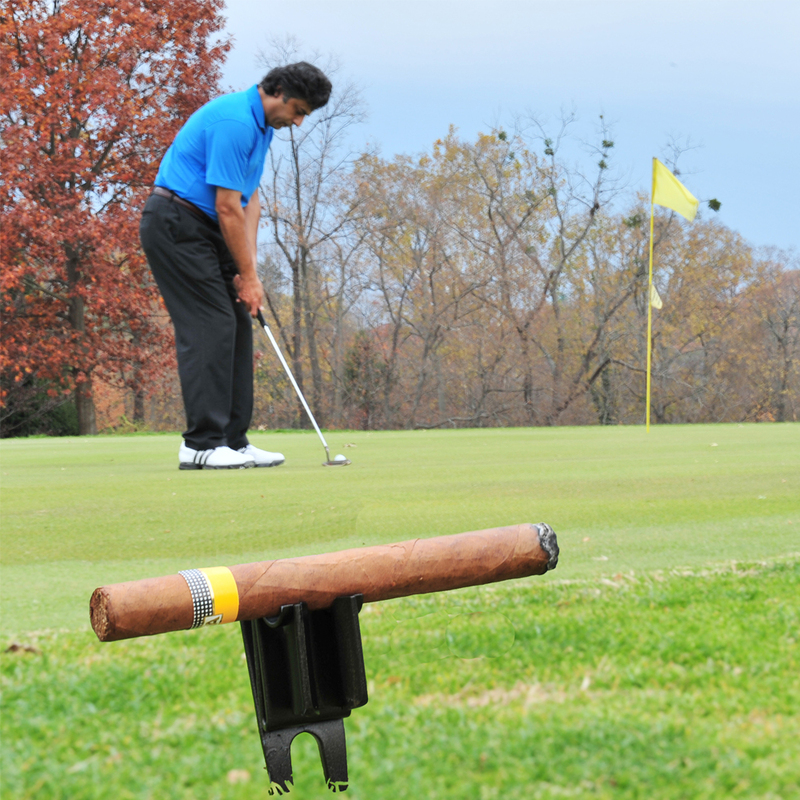 GolfJOC - CigarKaddy: is the ultimate in when it comes to a unique design offering maximum use and functionality. 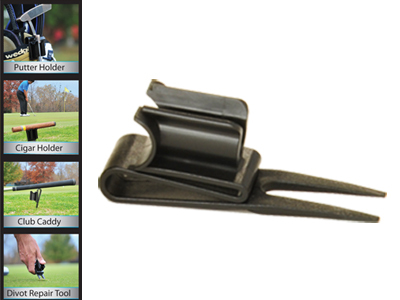 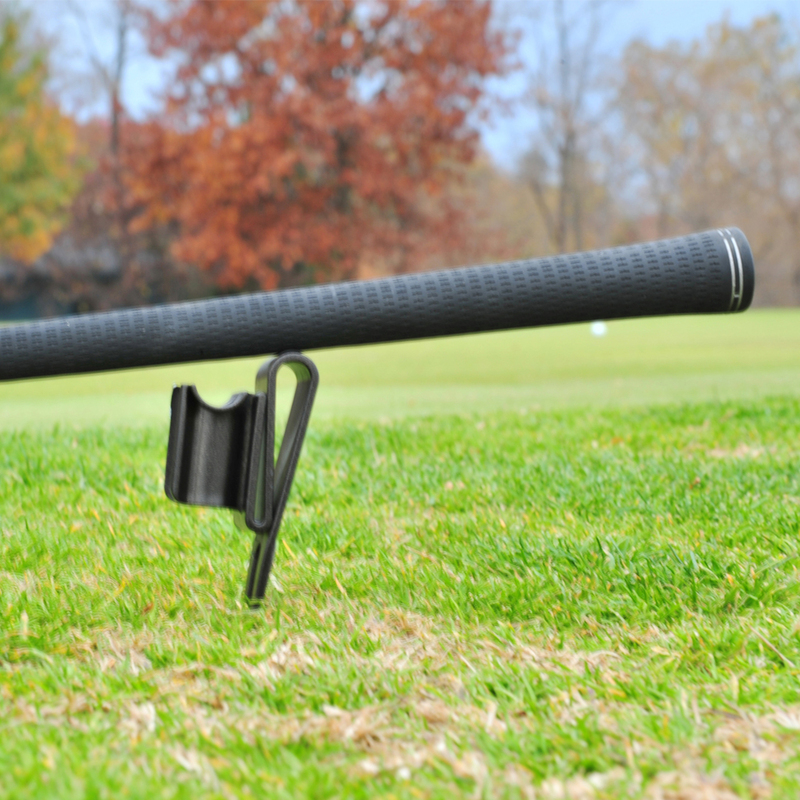 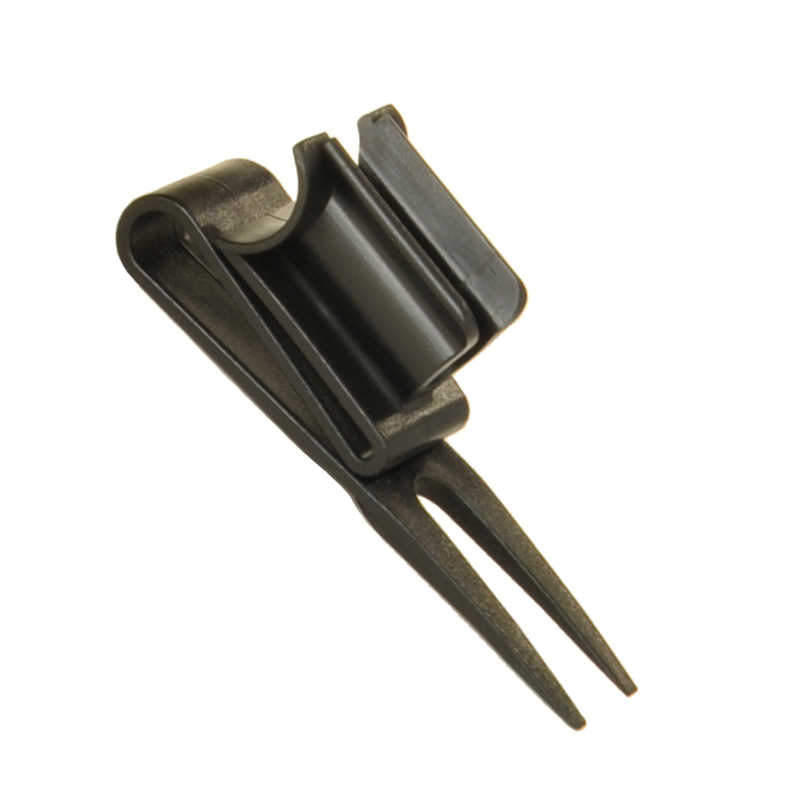 Putter Holder - Easily fits on your golf bag, and hold any size putter for easy access.